Logistics and fulfillment startups – who, traditionally, have held an infrastructural disadvantage against legacy companies – are finding that their nimbleness and ability to fill gaps in the supply chain are making them a valuable asset in the contemporary marketplace. Similarly, freight forwarders, port-side warehousers, and other 3PL companies are experiencing explosive growth thanks to the new fulfillment pathways that ecommerce enables. Online shopping has transformed what people expect from the retail experience. It’s also changed the way the supply chain has to operate to meet those standards. Next day fulfillment — and in many cases same day fulfillment — are making non-traditional supply chain solutions valuable for many retailers. Many freight forwarders are experiencing growth at a global aggregate rate of roughly 30 percent as a result. Freight forwarding has far exceeded the growth of traditional freight in the past five years. In a highly fragmented cargo industry, supply chain companies who are versatile enough to fill essential roles as needed are slated to thrive in the years to come. 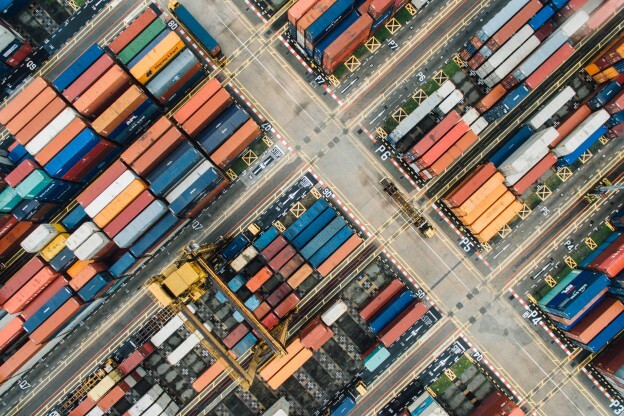 This is where local freight forwarders and other 3PL providers who can streamline fulfillment channels from container ships to regional nodes (or straight to a client’s front door) come into the picture. Going local has paid off for e-commerce giants in the past few years — by focusing on localized urban warehousing and their own last-mile fleets, Amazon has become become the single biggest needle-mover when it comes to transforming customer expectations. But even Amazon, who branched out into last-mile in a big way, remains heavily reliant on the USPS to manage item-level fulfillment. Turns out fulfillment, especially in the last mile, is presenting a bigger challenge for ecommerce companies than expected. Maintaining a profit during last mile fulfillment is notoriously difficult, and nowhere is this more apparent than in large item fulfillment. The emerging popularity of ecommerce for oversized goods means that product like dishwashers and sofas are subject to the same customer expectations as books and bottles of shampoo. Warehousing and fulfillment for these large items presents a unique challenge — both in the physical warehousing space and the hardware needed, not to mention the advanced fleet management required to efficiently coordinate a smaller, more specialized last-mile fleet. Local 3PL and freight forwarding offers a solution to both concerns that can scale to meet demand without requiring large scale infrastructural investment. With the addition of portside 3PL warehousing, retailers are able to hold additional stock stateside that’s ready for immediate fulfillment through a freight forwarder. Historically, retailers would need to place an order for restock while it was still overseas. For an item like a sofa, weeks could go by before the item arrives in port. Flexible third-party warehousing allows retailers to scale up for peak seasons and special events — while taking advantage of advanced warehouse management software to ensure prompt fulfillment. Massive importers and merchandisers who haven’t kept operations up to speed with the changing climate will find themselves at a distinct disadvantage in the years to come. A lot of mature companies on the supply chain aren’t up to date in their warehouse management technologies, and many more aren’t using IoT devices for tracking and documenting cargo. Many legacy last-mile delivery services aren’t using up to date fleet management software and may not track on a item level basis. For customers who want a transparent view of their item moving through the fulfillment journey — both retailers and end users alike — that can present a big problem. Freight forwarders that operate using up-to-date WMS and fleet management tools offer transparency for other companies on the supply chain. For a retailer, that transparency can make a big difference in creating a customer journey that works. Because of their outsized operational capacity, large companies that fall behind will require more resources to implement new technology. At the speed technology moves today, they risk running behind on all new tech. Currently, that gap is being filled by smaller, more local organizations that have specialized positions along the supply chain. Only time will tell how the supply chain changes thanks to their increasing role. Learn more about 3PL for ecommerce companies. Contact us today!